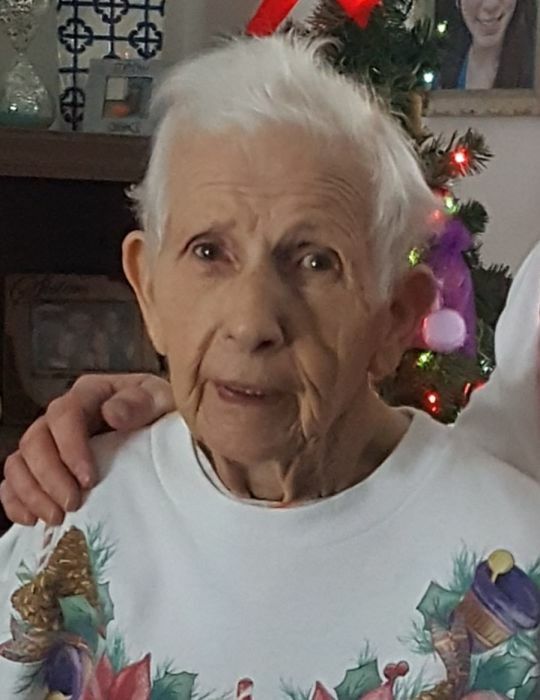 Obituary for Viola "Vi" L. (Tiernan) Schultz | Bowerman Funeral Home, Inc.
Viola “Vi” Schultz, age 89, longtime Brown’s Addition resident of Munising, died on Wednesday afternoon, January 16, 2019 at the Medilodge of Munising. She was born on April 12, 1929 in Munising to John and Leota (Cremer) Tiernan. Vi graduated from Sacred Heart School and then from Wm. G. Mather High School in 1949. Vi married Raymond Schultz on November 17, 1951 and together they raised their family. Ray preceded Vi in death on June 24, 1978. Vi worked in the kitchen for the Munising Public School System for over ten years. She was a faithful member of Sacred Heart Church and a member of the American Legion Auxiliary and the D.A.V. Auxiliary. Vi bowled in a league for many years and she enjoyed her winter trips to Florida. She is survived by her sister-in-law – Millie Tiernan, three children – Raya Grieve of Traverse City, MI, Gary (Beverly) Schultz of Van Meer, and Jack (Karen) Schultz of Traverse City, MI; seven grandchildren – Darlyn (Ken) Thiessen, Lee Ann (Schierschmidt) Harris, Bobby Schierschmidt, Sheri Schultz, Josh (Stepheniey) Squires, Carly (John) Britton, and Taylor Schultz, 16 great-grandchildren; and numerous nieces and nephews. Vi was preceded in death by her parents – Jack and Leota Tiernan, husband - Raymond, infant son - Billy, sisters – Dorothy (Louie) Champine and Colleen (Buck) Perry, and brothers Jack (Louise), Pete (Emily), Bill (Wanda), and Ted Tiernan; and son-in-law - Jeff Grieve. Visitation will be held at the Bowerman Funeral Home on Friday evening from 5:00 until 8:00 p.m. A parish vigil service and time of sharing stories and remembrances will be held at 7:00 p.m. Father Chris Gardiner will celebrate Vi’s Funeral Mass on Saturday, January 19, 2019 at 10:00 a.m. at Sacred Heart Church in Munising. Interment will be at the Maple Grove Cemetery in Munising in the spring where there will also be an American Legion Auxiliary service. There will be a luncheon at the American Legion Post #131 at noon on Saturday, January 19, 2019 for family and friends.